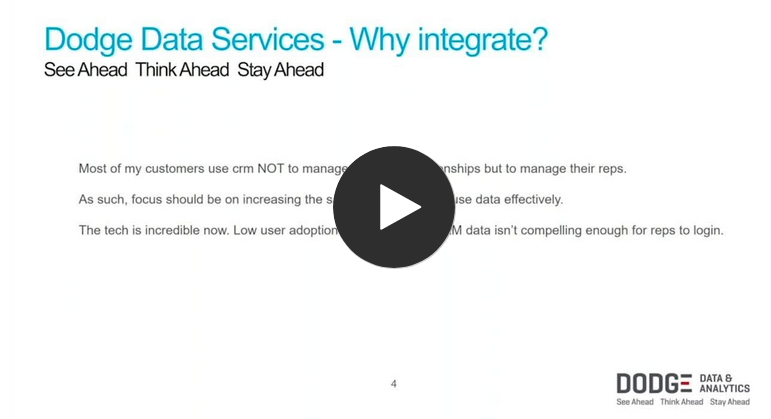 Get More Out of Your Construction Data With Integration! This on-demand webinar will show you how easy it is to integrate Dodge Data into your CRM and Business Intelligence tools. Dodge Link easily works with all leading CRM and Business Intelligence systems and makes it easy for you to get even more out of your construction data. Don't miss this opportunity to learn more!